If you are reading this, you are most likely in need of roof repair in Omaha NE or roof cleaning. Residential roofing in Omaha relies on roof cleaning as an essential maintenance procedure that all homeowners should prioritize. Omaha NE roofing contractors understand how important roof cleaning is, and how beneficial it can be to a roof. If your roof appears dark or discolored in certain areas, you might have mold developing on your shingles’ surface, and in need of roof cleaning help from the best roofing companies in Omaha NE. Here are 3 Do’s and Don’ts of roof cleaning from commercial Omaha roofing contractors. Don’t: Ignore your landscape and surrounding areas. Your surrounding lawn and property can be easily harmed by bleach or other roof cleaning chemicals if not intentionally protected. Residential roofing companies in Omaha NE prioritize your roof, but they also prioritize your surrounding property and belongings. Do: Wet your plants and shrubbery thoroughly with plain clean water before covering them with plastic to keep them safe from the dangerous chemicals used to clean a roof. This is just one of the suggestions that separates a mediocre roofing contractor from the best roofing contractor in Omaha NE. Don’t: Assume that the cleaning solution you are using will immediately remove the dirt or mold from your roof, and prematurely apply more solution than instructed. This mistake can not only put your property at more danger of damage but also have the opposite effects than desired on your roof’s surface. Do: Have patience! The algae and moss on your roof will wash away during subsequent rainstorms now that the proper chemicals have been applied. Patience is the name of the game when cleaning your roof. Don’t: Clean your roof on a sunny, humid, or hot day. Cleaning your roof on a sunny day can cause the bleach solution to evaporate too quickly, which will limit the amount of time it has to absorb into your roof’s surface and adequately take effect. Don’t limit your solution’s cleansing effects by cleaning your roof on a sunny day. Do: Clean your roof on a cloudy day. Cloudy, calm days are great for roof cleaning. 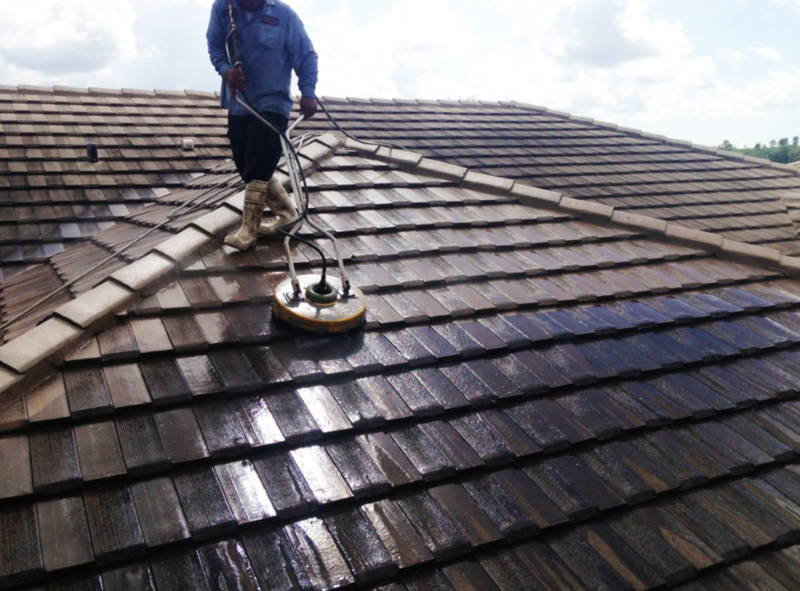 The lack of wind and harsh sunlight ensures that your roof has no threat or precipitation during the cleaning process.